Innovation gives birth to new invention but this did not happen like magic. Past and present inventors had to think deep, ask questions before they achieved breakthrough. Theories and models propounded in various disciplines today started initially by questioning certain facts, ideologies and beliefs. Probing or asking is a major concept of learning. But do we have to question things that happen to us, why not just accept it? Is there a lesson we extract from our experiences when we ask questions? The answer to the questions I asked is explored in this article. In this context, the word question means to ask, query,enquiry, probe, interrogate and investigate. The art of questioning is similar to the art of dancing and music. I will first explain this concept from academic point of view. When you think of all the subjects taught and learned in institutions each plausible and concrete explanation is summarised with self-assessment questions. The primary objective of questioning in this instance is to test the learners depth of understanding and extent of assimilation of the topic. I believe this is one major reason why tests and examinations are conducted every term. The perfect way to determine and get students attention in class is adopting the art of questioning. One of my best learning and teaching methodology is question technique. If I want to determine my students depth of knowledge, I start right off to ask questions on previous lessons I taught. This is a process used in education. This art is a procedure used to draw out and develop the potentialities of a person with the view of making the individual a good critical thinker. I say, questioning develops our logic and reasoning faculty. It helps us to reason and ask why and how to solve problems or situations confronting us. It is proven that making enquiries or probing involves bringing into focus the realities of imperceptible phenomenon using the eyes of the mind. It enriches our creativity and imagination. In short, it makes you more skillful and scientific in answering and addressing real life issues. Arriving at any reasonable decision entails a process of finding out facts and information which is regarded the art of questioning. 1. 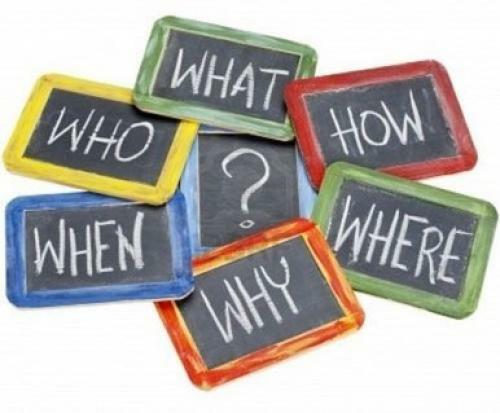 Ask relevant,simple, meaningful, straightforward but thought-provoking questions. 2. Ask a question, pause before you ask another one. 5. Handle questions and answers tactfully, in a friendly manner and sympathetically. 6. Do not only ask but inspire questions that will be considered difficult for you to answer. In the final analysis, it can be said that questioning is an art and a creative activity. It accesses the quantity and quality of our learning. As a skill, it is learned, mastered and should be applied appropriately. On the other hand, we are to ask and inspire questions. To sum up, GOD did not give us a dumb mind but ability to question and reason and not accept whatever is shuffled at us. Ask with a purpose.